Panohero-Mini-Maxi is a family of panoramic heads for action cameras – built from a set of compatible parts. Heads are produced on demand by 3D-printing market places like Shapeways. Products are available as sets of connected parts. Individual parts can be acquired too – as replacement parts or for switching to another camera. Panohero-Maxi models support a customary 7x12mm bubble level. Panohero-Mini models do not support a bubble level. 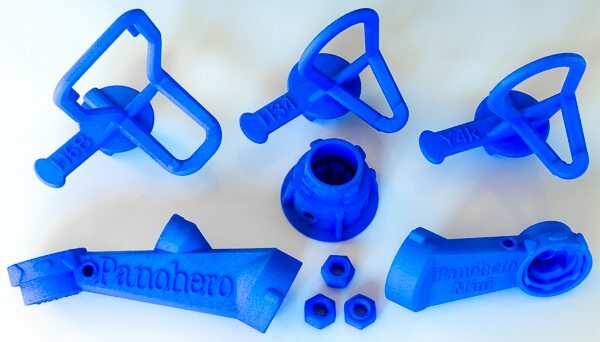 The model Panohero-Maxi-H6B including related replacement parts is available in three variants: In the original variant “Medium” in Blue color and in the newer variant “Large” with increased wall thickness in either Blue color or in Black Premium. 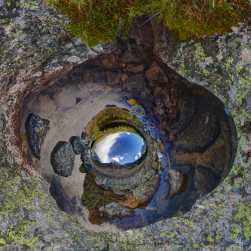 See Sample Virtual Tours. Download Sample Shots. the predecessor of Panohero-Maxi-H6B. Download sample shots for your own stitching. KeepEyeOnBall provides a free stitching service for images shot with Panohero. This service makes the creation of virtual tours for real estate especially easy. 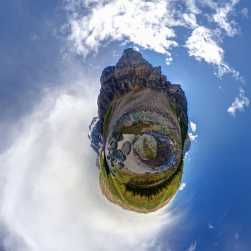 100 virtual tours are automatically free for Panohero users. There is no limit for the number of panoramas per tour. Register, upload your shots, wait for the stitching to complete and link your panoramas to a tour as shown in this video. Learn more from the nice manual – it is sketch-based and text-free. The above review of Andrew Wagner comprises a test of the free stitching service of KeepEyeOnBall. Technical Data for the product family Panohero-Mini-Maxi are available in PDF format. 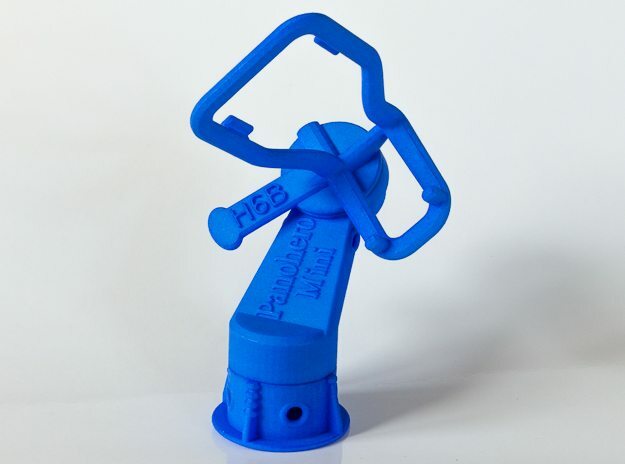 You can easily replace the 3d printed hex nut with a steel nut if you want to. The user’s manual shows how. Get a 1/4″-20 UNC nut from BoltDepot, Fastenal, Teleskop Service, Westerfield Fasteners, Grainger, fotoschraubenshop, astro-shop, augenblicke-eingefangen or others.